Typing about the Kate Toky Mineral Mask BB Cream reminds me so much on how I started Beauty Blogging! From Ebay shopping for Korean and Japanese BB Creams and testing them out one by one, going bonkers over new BB cream brands over the other...yes, I'm made for the BB Cream age! Thank you to whoever invented BB creams because they are indeed the "star" in my makeup arsenal! Kate Mineral Mask BB Cream is known to cover dry skin and skin problems like a mask to give a porcelain finish. I got a bit scared with the term "Like a Mask" so it took me a while to really wear this outside! The shade I got for review is OC-C which is an exact match for my skin tone. Packaging. Always a fan of tube packaging as I can squeeze out all the product til the last drop. Skin looks smooth and healthy. None of those white-cast even on flash photography. Color-matching. Could be difficult to get the right shade especially for first-timers. For oily skin, need the extra step to "set". Coverage is just okay. Can even out some spots but not cover-up. 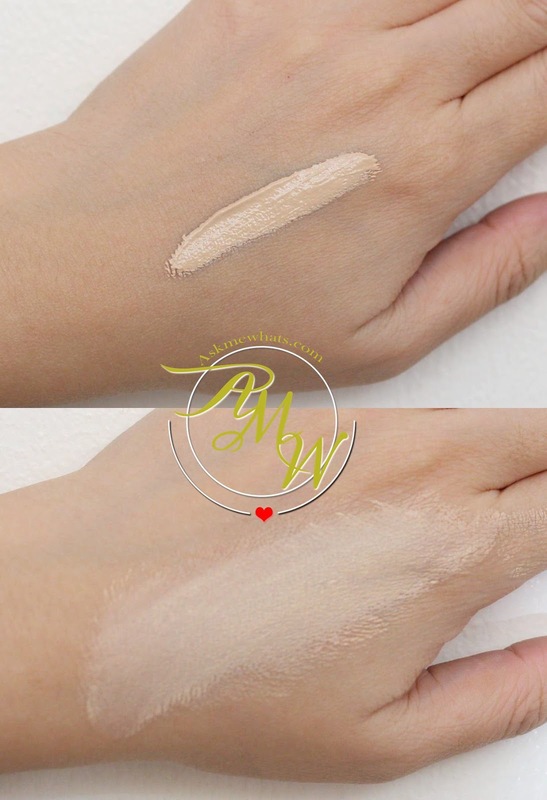 A semi-matte BB cream that gives light coverage and evens out the skin. For users with oily skin, always remember to set with an oil-control powder especially on areas that tend to oil up easily. 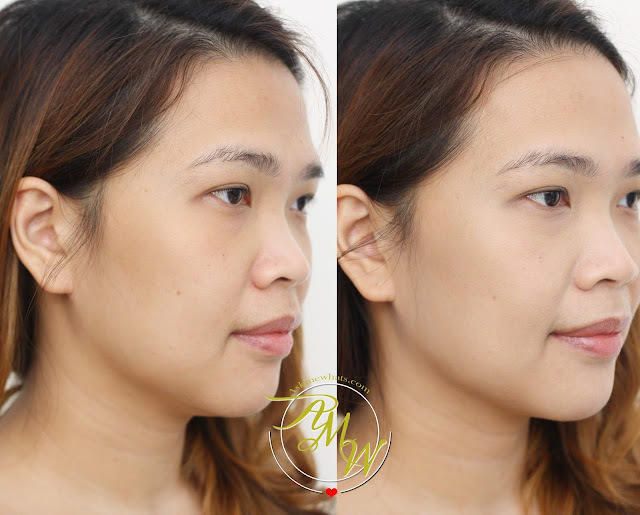 For better coverage, apply 2-3 layers but I prefer to apply a thin layer and use a concealer for coverage. That way, makeup feels light especially for the summer. Can be applied using clean fingers, sponge or brush. I actually like to use my Etude House Beauty Tool Secret 121 Oval Brush in application. Available at KATE counters priced at Php825.00 (approx $18.75) available at selected SM Department Stores/ Watsons, Wellworth UP Town Center, Landmark Makati and Trinoma and Metro Gaisano Cebu. This shade looks a bit gray and light at the back of my hand but given a bit of time to settle, it disappears and look natural. As for application, I like to apply several dots concentrating from the center of my face. Adding more on areas that needed coverage. Using my Etude House Oval Brush, I gently buff the product for a seamless finish. As you can see, the after photo looks so natural it could pass up as someone not wearing any makeup at all! But see how the redness on the sides of my nose and cheeks disappeared? Also, the darkness under the eye lessened. Whoa the bb disappears in your face! Hope I could find my shade match in bb too.